Look familiar? No this is not a Muntz Jet. It’s the pre-Muntz Jet: the Kurtis Sports. Race cars built by Frank Kurtis dominated the Indy 500 in the 1950s, and he built some road cars as well. The first Sports was built in 1948 and was based on a wrecked 1941 Buick. Power is from a 5.4-liter Cadillac V8 making 160 horsepower. It’s a good-looking car – good enough that when Earl Madman Muntz acquired the production rights to the car and moved production to Illinois, he didn’t really have to change that much. Only 16 examples of the Kurtis Sports were produced before it became the Muntz Jet. 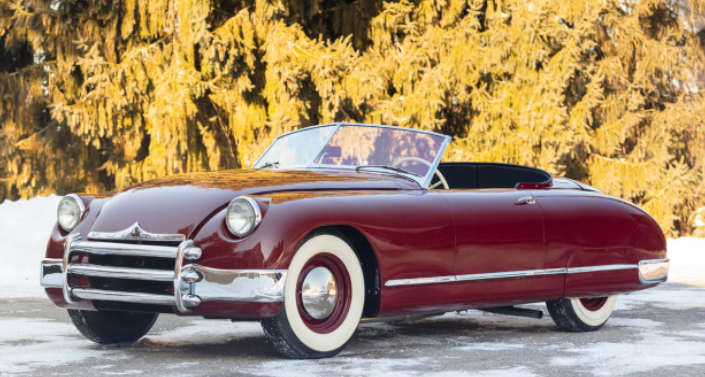 This example was restored by Arlen Kurtis, Frank’s son, and has pretty extensive ownership history. Extremely rare today, the car should bring between $275,000-$350,000. Click here for more info and here for more from this sale. When WWII ended, it left some companies wondering what they were going to do – especially those who were focused 100% on wartime production like the Bristol Aeroplane Company was. But if you’ve mastered production of vehicles (be it airplanes or trucks), cars are a logical next road to go down. And that’s just the path Bristol took. Their first car was the 400 and this 401 two-door sedan was their second automobile. 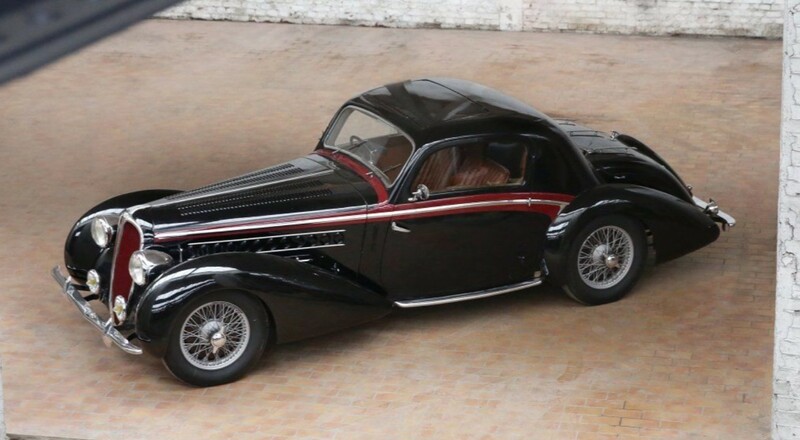 The first Bristols were sort of based on BMW models, which is probably why this thing looks a lot like a BMW 327. The 401 was available from 1948 through 1953 and a convertible variant, the 402, was built in 1949 and 1950 only. Only 611 examples of the 401 were built. The aluminium body is by Touring and the engine is from the BMW 328. It’s a 2.0-liter straight-six making 85 horsepower. Bristol is still out there, barely, as one of the most exclusive car companies on the planet. To get your hands on this one will run you between $50,000-$75,000. Click here for more info and here for the rest of Artcurial’s lineup. Amédée Gordini started working on cars in the 1930s. 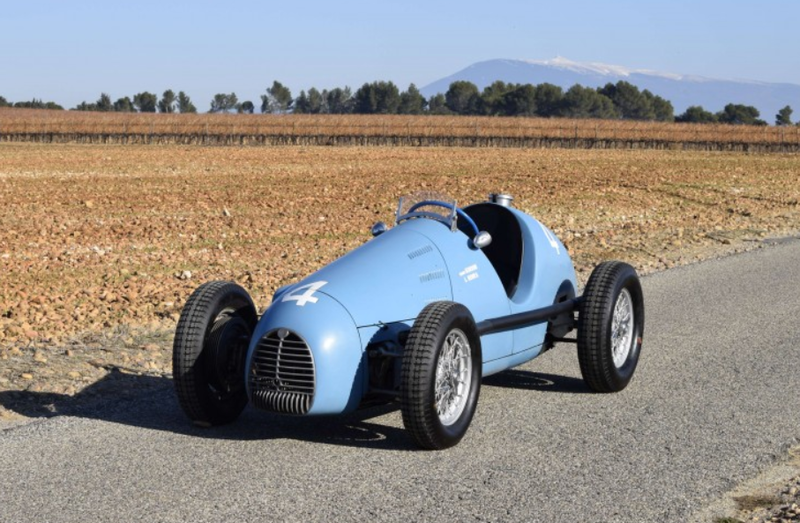 He built his first single-seaters right after WWII and now the Gordini brand is owned by Renault. As a team, Gordini competed in Formula One between 1950 and 1956. This is their 1952 racer… or at least that’s when it debuted. Wow. That’s a lot of F1 races for one chassis over four different seasons (with some pretty big names from the era as well). The car was not necessarily competitive at the end of its career as F1 advances at a pretty breakneck pace, but it was still out there, grinding laps. The car was acquired in the 1970s by Christian Huet, who wrote the book on Gordini. The car was offered to him by Gordini himself before passing away. It’s well-documented and currently has a different engine installed, although a 2.0-liter F2 engine does come with it. 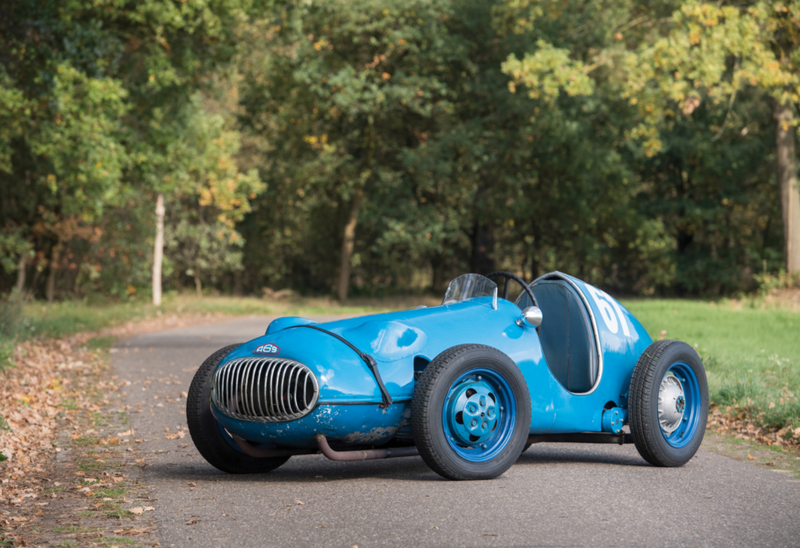 Apparently, Gordini only built 33 single-seater cars and 14 of those are in the Schlumpf hoard. This one should bring between $1,100,000-$1,700,000. Click here for more info and here for more from this sale. Here’s a strange, one-off single-seater. 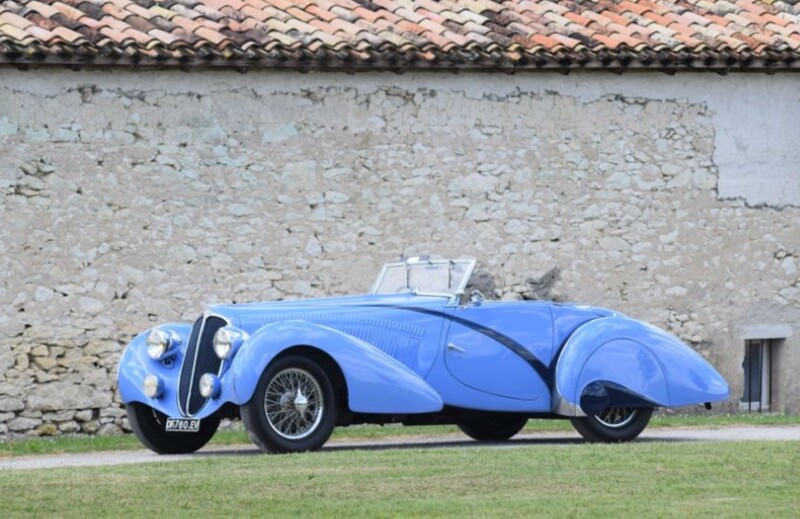 Called the Atelier Guérin Special, or AGS, this car was built by Pierre Guérin in Grenoble, France. It’s based around a Panhard car of the era and, quite unusually for an open-wheel race car, features front-wheel drive. It’s powered by an 850cc Panhard twin. Apparently it was raced in period, but it isn’t really known where, though it did compete in some hillclimb events in Italy more recently and that’s probably where its specialty lies. It finally left its hometown in 1990 and its then-new owner kept the car for 20 years. A few others have enjoyed it since then and now it’s on the open market. It’s a unique, period-correct time attack car waiting for a new owner to take it to the track. It should bring between $30,000-$40,000. Click here for more info and here for more from this sale. Ferrari’s 195 Inter was the road-going version of the 195 S race car and was one of Ferrari’s first road cars. 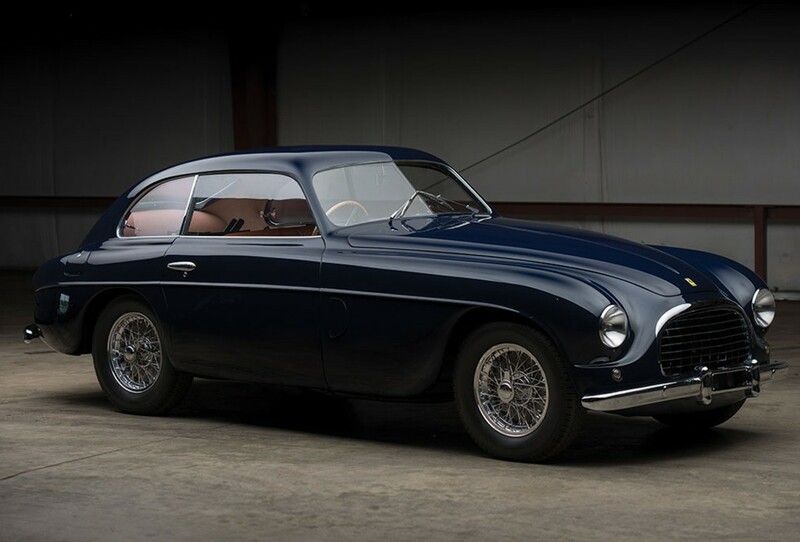 We’ve featured a Ghia bodied example before, but this car carries a two-door coupe body by Touring – one of three 195 Inters bodied by that particular Carrozzeria. The 195 Inter is powered by a 2.3-liter V-12 making 130 horsepower. 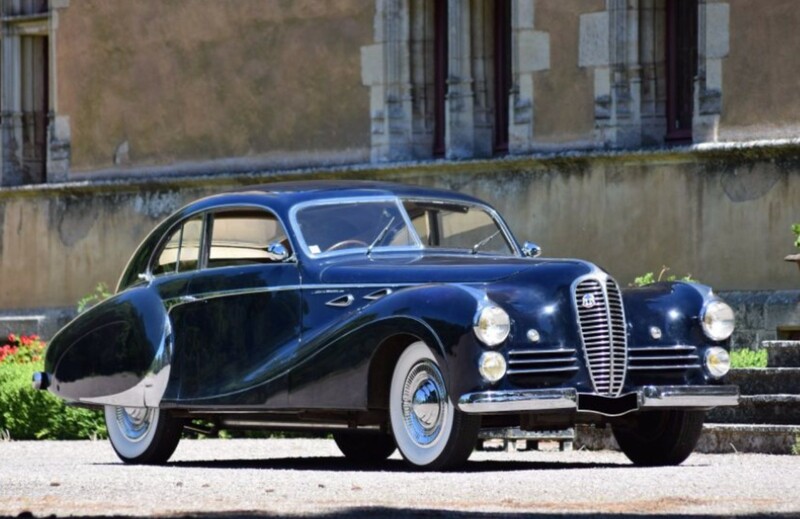 This is actually the first chassis of this model constructed and it was shown at the 1951 Turin Motor Show by its first owner. It found its way to the U.S. in 1959. First restored in 2007, it debuted at the 2008 Pebble Beach Concours. 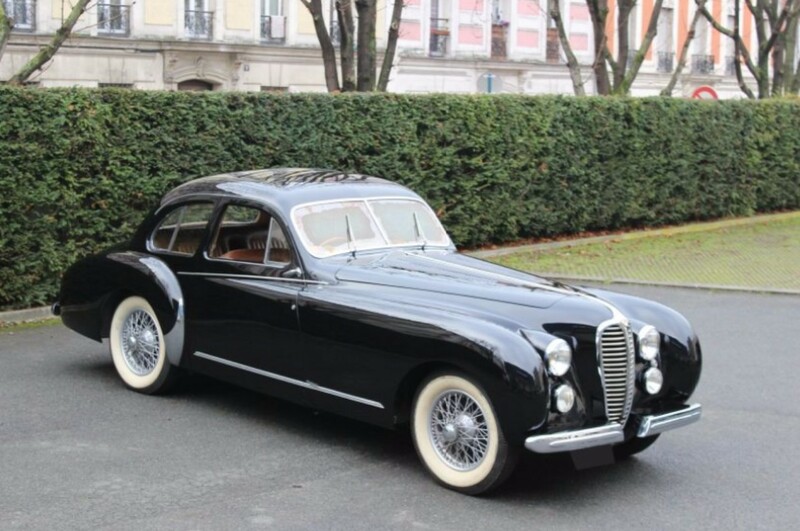 Only 25 examples of the 195 Inter were built, making them extremely rare today. It may not be the sportiest Ferrari road car, but it helped launch the firm as the world’s premier GT manufacturer. It should sell for between $1,300,000-$1,750,000. Click here for more info and here for the rest of RM’s all-Ferrari lineup. Okay, so maybe it wasn’t super successful in it’s day, but it still ran at the biggest races in the world. After the 1950 racing season the car was rebuilt by Carrozzeria Fontana, with the body you see here having been constructed at that time. Dubbed “L’uovo,” or the egg, it was designed to be aerodynamic and light. After the 1952 season, the original 166 MM engine was replaced by an engine from Ferrari’s newer 212 Export model, which would mean that it carries a 2.6-liter V-12, which makes 175 horsepower (though this is unclear from the catalog description). In 1953 the car made it’s way into Californian ownership. In 1986, an Italian buyer brought the car home from the U.S. and had it restored. 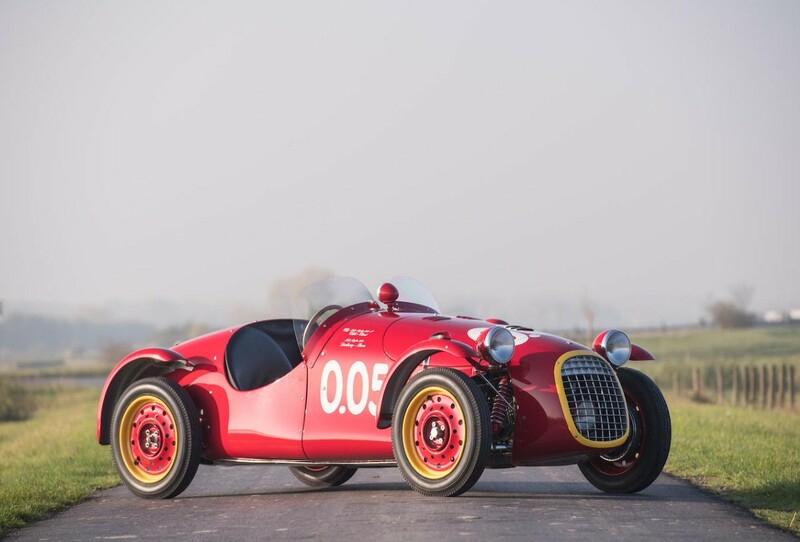 Displayed infrequently, the car has competed in the modern Mille Miglia a few times in the last 20 years. This one-off, big money Ferrari will go under the hammer next month. For more information, check out RM Sotheby’s site here and see more from this sale here. You’re looking at one of the earliest Ferraris. 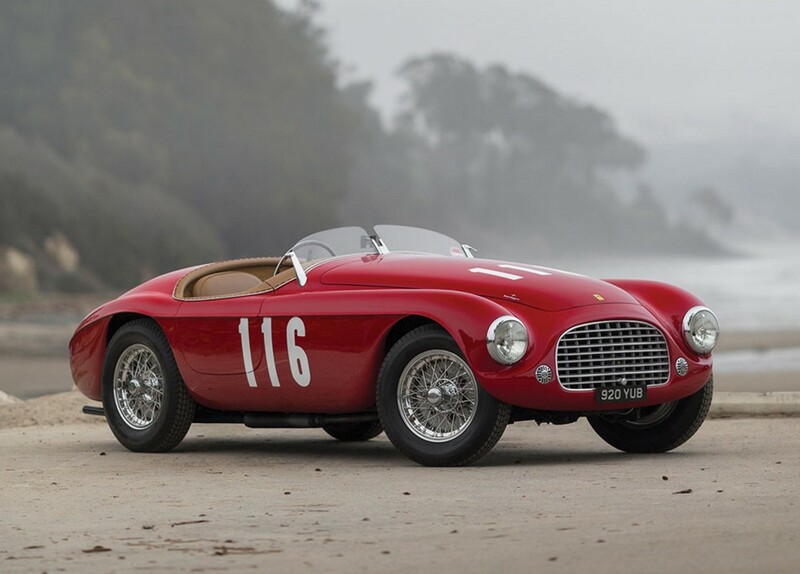 The 166 MM was one of the first Ferrari models – produced after only the 125 S, 159 S, 166 S, and the 166 Inter. The “MM” stood for “Mille Miglia”, the famous Italian road race that Ferrari won (actually finished 1-2) in 1949 with cars similar to this. In early 1954, the car was already owned by someone else and racing hard in the United States. It’s been a respected car in the collector community pretty much since, winning awards at Pebble Beach as early as 1979. It’s Ferrari Classiche certified and retains all of its major original components. 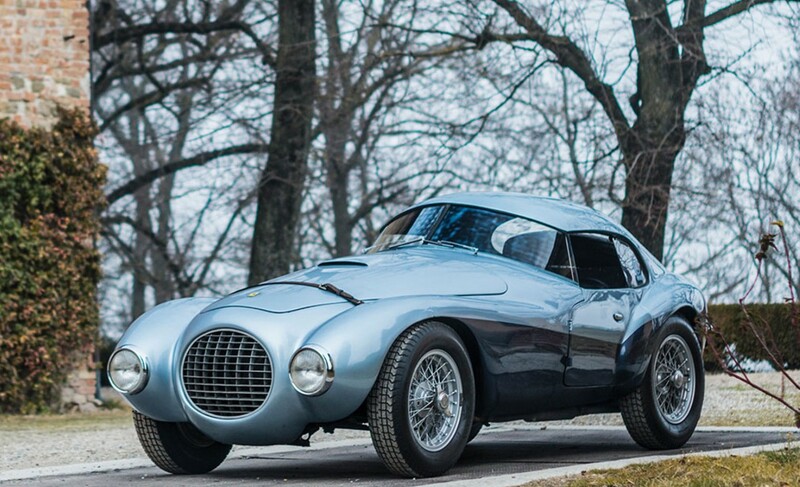 A Ferrari 166 is a hard to come by, but must-have for any serious collector. This is a great example and it’s expected to bring between $8,000,000-$10,000,000. Click here for more info and here for the rest of RM Sotheby’s lineup. The Giannini brothers opened a garage in 1885 and started servicing Itala cars in 1922. Shortly thereafter they got involved with racing which led them to a profitable business (that an offshoot of still exists today) wrenching on Fiats. In the 1940s, the Giannini brothers were building some really solid engines. In fact, they set world speed records in a Fiat Topolino using their know-how. The car you see here was actually built by the Benedetti brothers of Florence and was bodied by Carrozzeria Lotti of the same town. The car was originally based around a Fiat 1100, but later the engine was swapped for a Giannini 750cc straight-four. The current owner has had this car since the early 1990s. It’s certainly one of a kind and even its name had to be created in order to tell what it is. It’s been completely restored and is likely eligible for historic events. It should bring between $270,000-$320,000. Click here for more info and here for more from this sale. I feel like every time we feature one of Archibald Frazer-Nash’s spectacular automobiles, we have to have the conversation about the word “replica.” In this case, replica refers to a production vehicle modeled after an actual race car the company built. 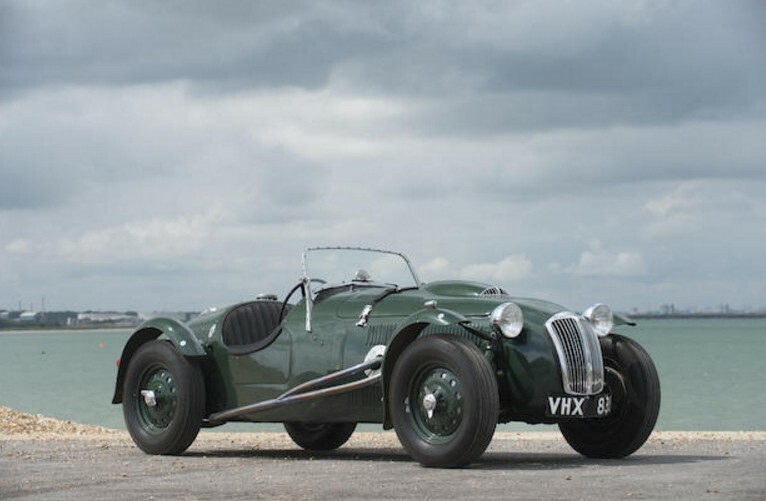 In this case, Frazer Nash built a car for the 1949 24 Hours of Le Mans. Because it was successful, they built a run of similar cars for customers. 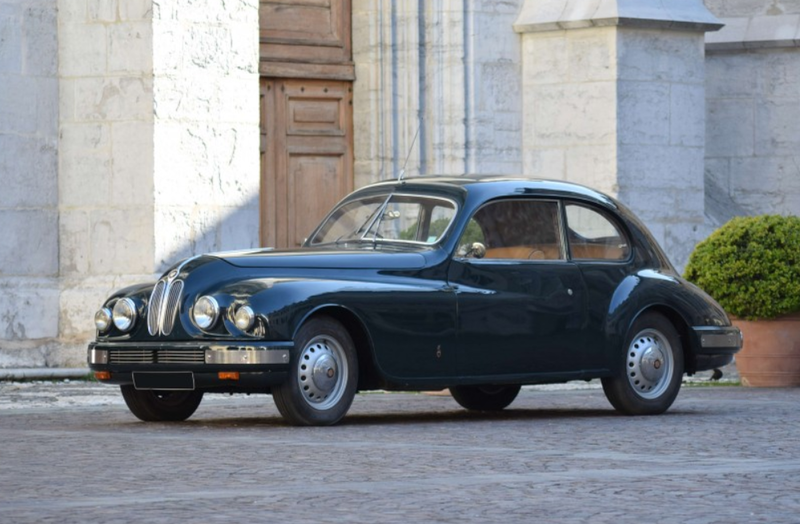 This example, with known ownership history from new, was first sold in the U.K. in 1950. It is powered by a 2.0-liter straight-six from Bristol making 125 horsepower. One owner has had this car for over four decades. At one point in time, it was owned and raced by famed driver Roy Salvadori. This was the 20th of 34 built. 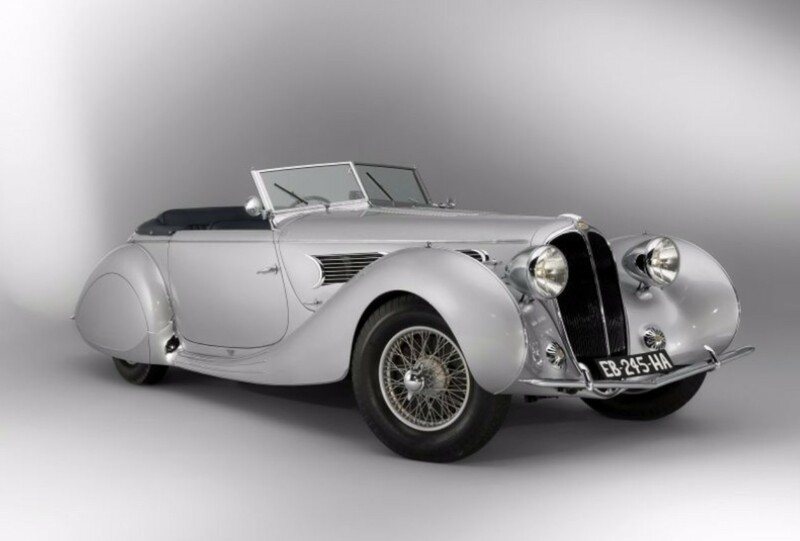 Frazer Nash only built about 85 cars after WWII, with this model being the most popular. With pre-war production included, Frazer Nash output was only about 400 cars. Not a large amount. But they are among the best of the breed – true sports cars. This example – which is all original – should bring between $760,000-$840,000. Click here for more info and here for more from this sale.